Lower back pain is an extremely common condition affecting 70-90% of the people in around Edinburgh. This type of pain is usually referred to as “non-specific lower back pain”. This is because of a large number of different ways that it presents itself. The pain can come from general stiffness, very common, to a disc prolapse, really uncommon. Despite the name, non-specific lower back pain, there is always a root cause. For long lasting relief, we always work on finding out what this root cause. This is much more likely to provide a solutuion than simply treating the symptoms. The trigger for the pain may have been nothing to do with the back initially but came about from an untreated ankle sprain. 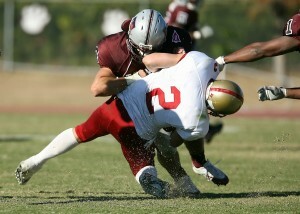 How can an ankle sprain cause your back pain? 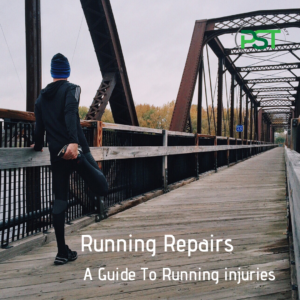 If the sprain is severe enough that it affects your movement there can be a long term effect on how the whole leg works gradually creating stress in the lower back. 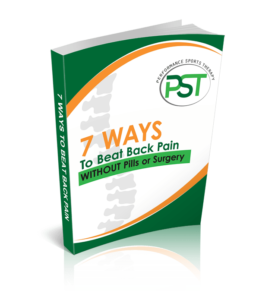 Check out our 7 Ways to beat back pain without pills or surgery eBook for some helpful tips.